The author has created a story around the sudden and unexpected deaths of 12 year old Willow Chance’s adoptive parents in a car crash. This premise could herald a sad story but it is the opposite. We certainly travel with Willow through her grief, but there are many elements of her quirky personality that shine through with humour and hope. She has been assessed as highly gifted, and we observe her reclusive personality and obsessions about counting by 7s, medical conditions and growing plants. She is starting Middle School and has all the normal anxieties about fitting in and in her unique way tries to settle in unobtrusively. She achieves perfect scores on standardised tests, is accused of cheating and assigned to a counsellor Dell Duke. It become’s Dell’s task to support Willow through her grief and this adds another comedic element to the story. 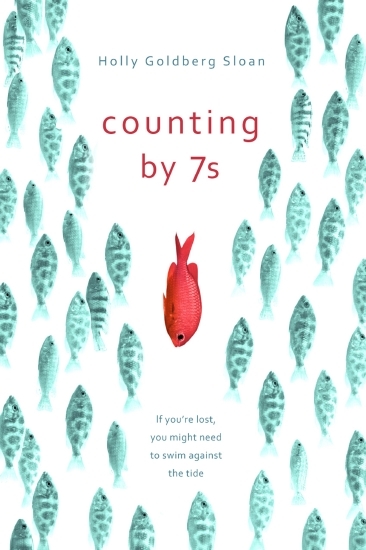 There are many highs and lows in this journey and the obsession with the number 7 is maintained and given extra meaning at the novel’s conclusion. The themes of friendship, trust, acceptance, the meaning and importance of family and the unexpectedness of life are all explored. Recommended for 12 years old and beyond. Teacher Notes can be found on the publisher’s website.